What does this tell you? If are still looking for deals, keep on looking, online. Discounts are there. As of Black Friday, highest discounts were in computers (discounted 17.8% on average), followed by TVs (down 18%) and toys (down 27.1%). But mobile devices took the Lion’s Share at more than a third of the online sales. 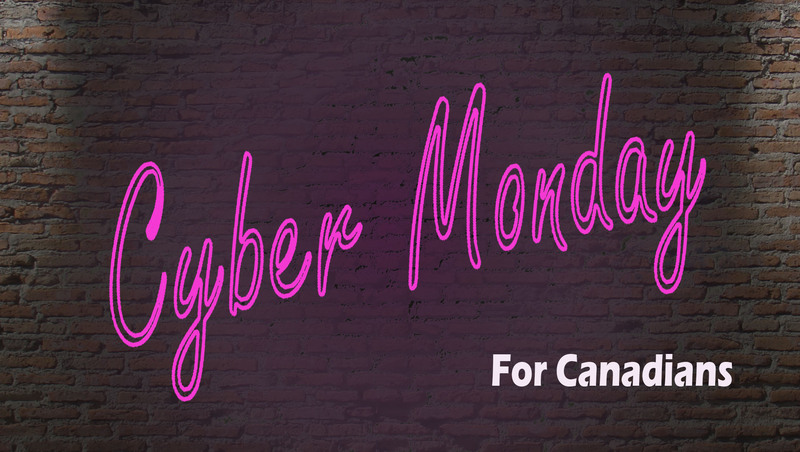 Expect the best deals on Cyber Monday to be for toys, for all those stocking up for Christmas. Aeroplan has big deals with partners and it gets better if you are signed on to the bustling Canadian frequent flyer and purchasing program. For example, you you will earn up to 10X the miles on through Cyber Monday and beyond. Amazon Canada has up to 30% off on clothes, the Echo Spot with screen and camera rocks for CDN$ 119.99 & FREE Shipping compared to the CDN$ 169.99 list price. More deals on all its smart speakers. eBay Canada awaits with deals like $100 Hotels.com Gift Card for only $85 – Email Delivery for Canadians only Or how about the LG 65″ 4K UHD HDR LED webOS 4.0 Smart TV – Black – 65UK6090 $949 CDN saving you $450! If you want to deal with LG directly check out for $999.99 (regular $1,399.99). Check out Expedia for Cyber Monday secures flight deals like Calgary to Sydney for $1,012 CDN roundtrip on Qantas or Toronto to Lisbon roundtrip for $785 on Azores. Best Buy has had a 3:00 am ET start so you won’t be the first one there. Checkout the UDI U818A WiFi FPV RC Quadcopter Drone – Online Only for $169.95 and save $30.